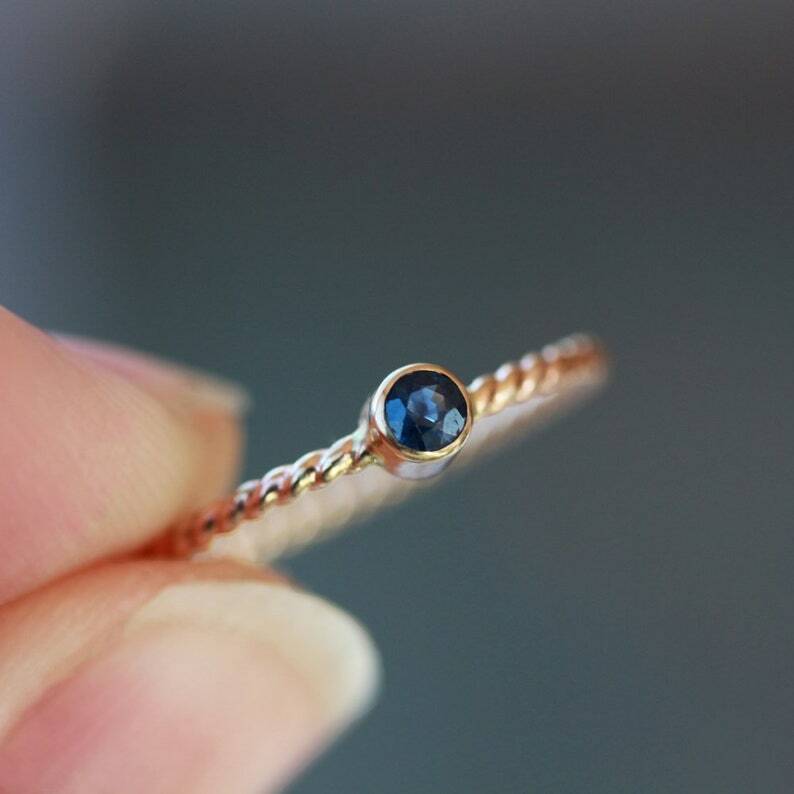 A single, beautifully faceted blue Sapphire gem sparkles in a 14k yellow gold bezel set flush into a 14k yellow gold twisted rope band. 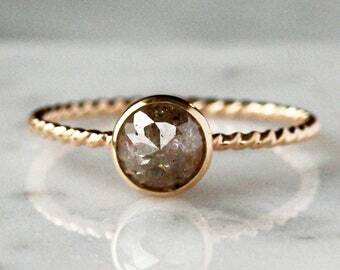 The dainty size of the gem and the nautical flavor of the ring make it small but stunning. 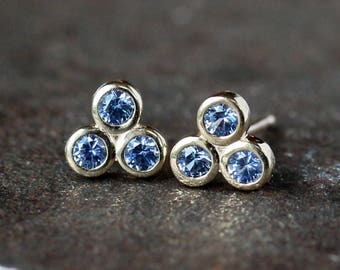 The Sapphire is a real, precious stone, expertly faceted and measuring 3mm. 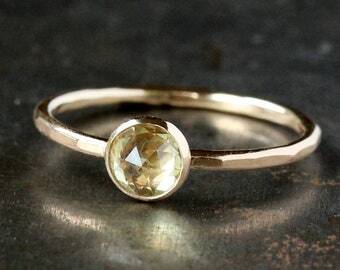 The 14k gold I use is recycled and refined in the U.S. in an environmental-award-winning plant. 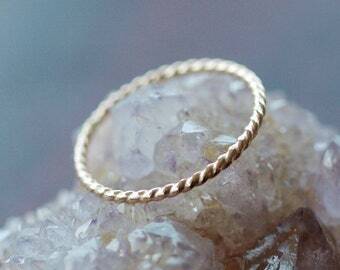 The band measures approximately 1.5mm wide. Note: photos are enlarged to show detail. ONE WEEK PROCESSING TIME: All my work is made-to-order, specifically for you. My turn-around time (i.e. the length of the order queue plus fabrication time) is ONE WEEK from the date of your purchase to the date of shipment. 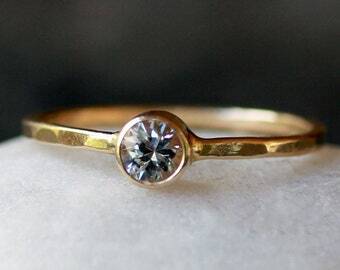 Doesn't seem so long, once you think about it :) This made-to-order ring is a custom order. Please read my shop policies for more details. Cassie is great to work with. 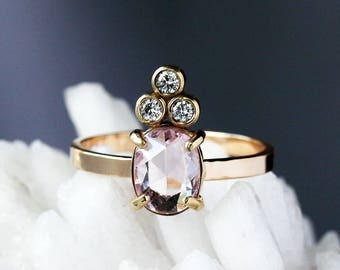 Lovely ring! 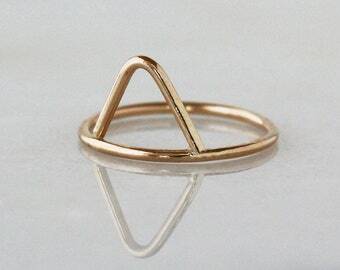 I ordered this as my wedding band and I simply cannot describe how happy I am that I did! 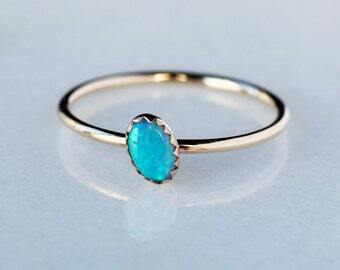 This is the most beautiful, delicate ring ever, and I love how minimal it is! Shipping was on time and quick, and came in a really cute box. 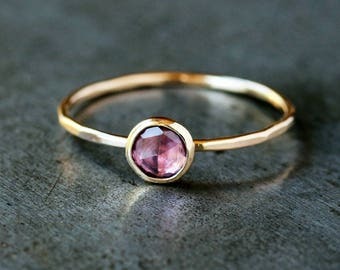 I can not wait till my wedding day so I get to wear this ring! !